CPAGrip's Monetization tools are industry leading monetization products. First and foremost, we are all about bringing you the best performance offers in the industry. We work long and hard to make sure you're getting great offers. Next, we take those incredible offers and combine them with tools that allow you to monetize your traffic's content in so many different and great ways. Trust in our monetization tools, they will make you more money in less time. They are easy to use and always improving! 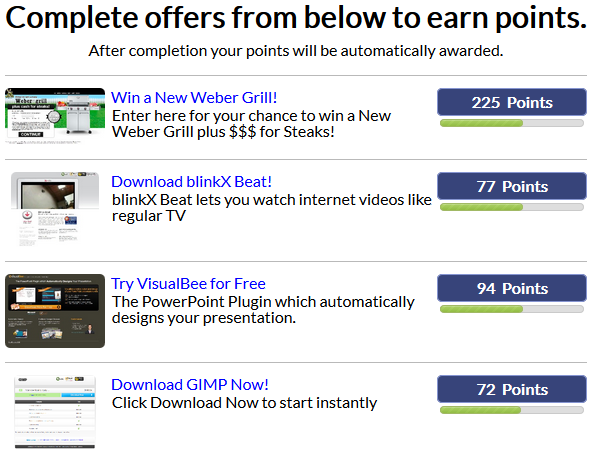 CPAGrip's Content locker is an outstanding solution for monetizing web content. 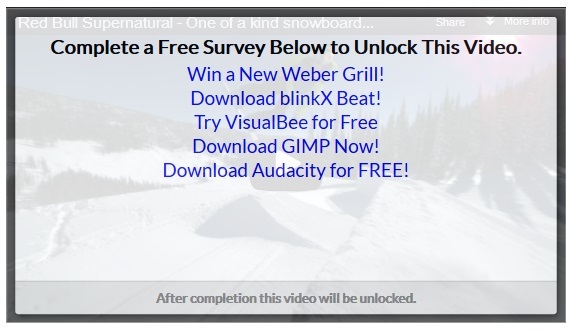 Content locking has been a proven model of outperforming other types of advertising models. 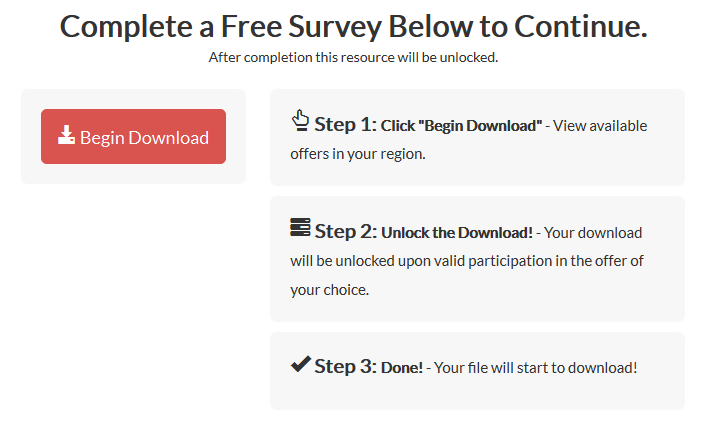 Our link locker allows you to lock online media so that a user must complete an incentive offer in order to gain access to the said link or file. 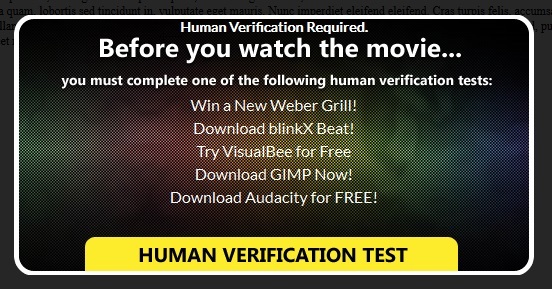 This type of advertising has a proven track record for monetizing your file sites. Find out what all the fuss is about and learn how to monetize your site with our leading Download Unlocking Technology! Video lockling allows you to place an overlay onto a video element on your website. The user can still interact with other site functions, but in order to see the video content, the user must complete an offer in order to access video playback. This is an amazing way to monetize your videos for small content publishers. 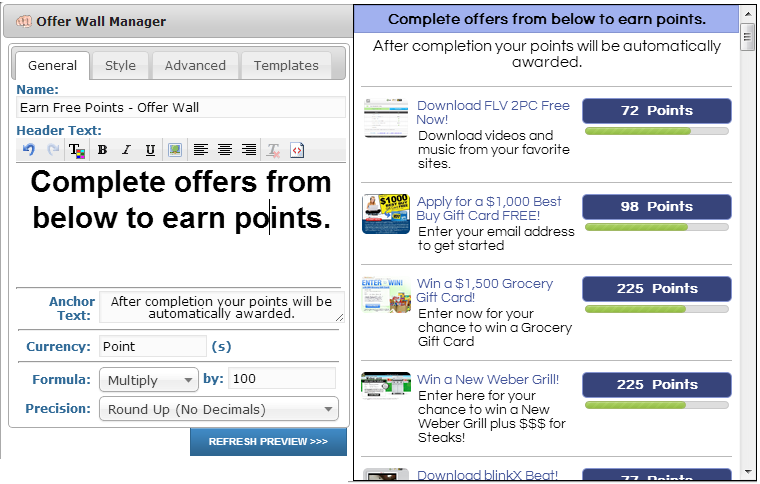 Offer walls allow you to display the correct geotargeted offers to your users generally used with point rewards. This allows you to easily leverage multiple offers and reward your users with virtual currency for each offer completed. Our offer wall and offer feed (xml/csv) platform can be leveraged in combination with our global or multi-postback systems to allow you the flexability to define your own virtual currency and conversion rates, while giving your end users a seamless experience.